Gong Xi Fa Cai! It's time to ring in another Chinese New Year! Reach out to your friends, family and loved ones on this joyous occasion with our animated 3d Pop Up ecards and online greeting cards. Send Happy Lunar New Year wishes to family and friends. 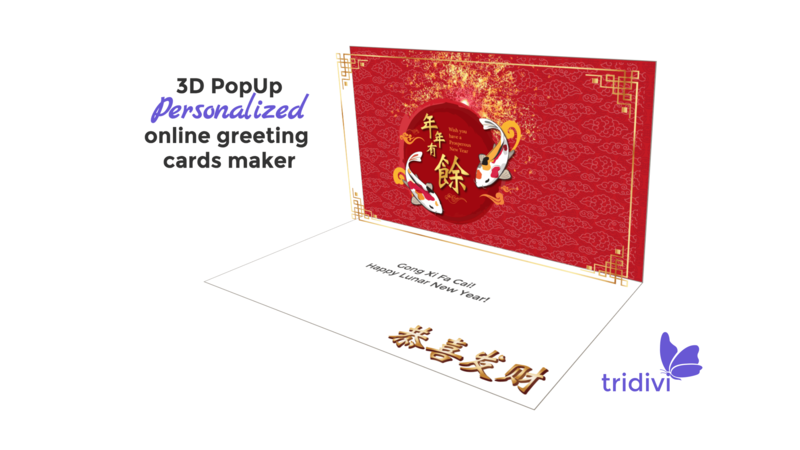 Create your own Animated 3D Pop Up eCard with our free and easy to use online greeting cards and ecards maker. You can even send or share it on Facebook. Send your eCard for free! Your browser is too small.